Today I think I may have had one of the most profound moments of parenthood. 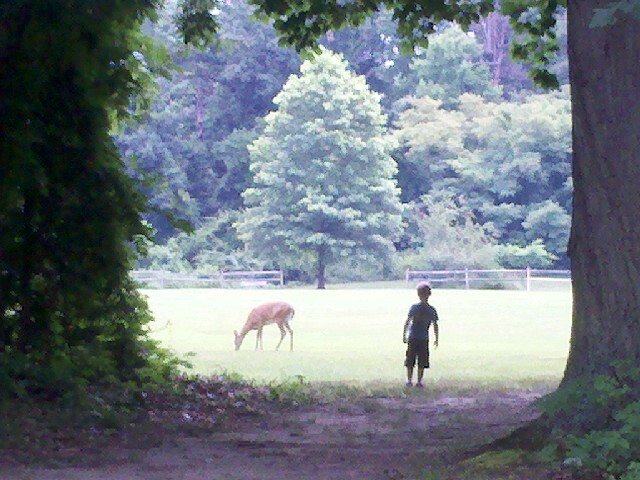 My 5-year old son and I were traipsing through the woods in an urban park not far from both our home and our school. We were probably a mere 10-minute walk from our car in the parking lot when we came to the last major wooded stretch in the park. 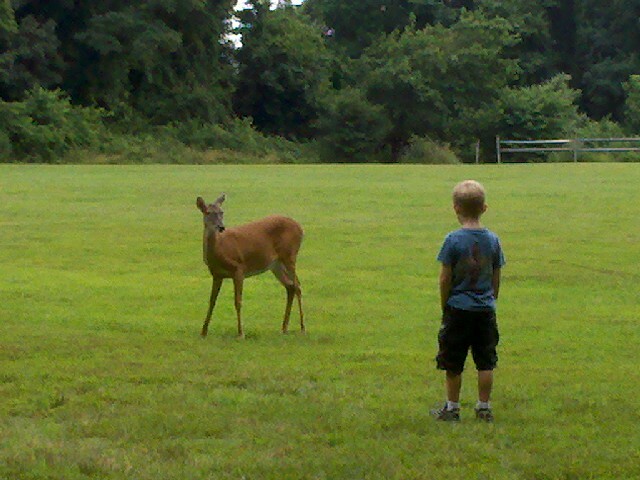 It was then that we saw the deer. My li'l fellow decided to go in for a closer look. I'm not sure where he learned to track animals like this, but I swear it was innate! Jane Goodall could take notes on animal observation based on how my five-year old spent the next 5-10 minutes. Silent. Stealth. Statue. He inched forward... step by cautious-silent-patient-step forward. Never in my life have I been so close to a deer. My little scientific tracker was leaps and bounds closer than I. With every step, our deer buddy watched us, but trusted us. It was an amazing, truly awe-inspiring experience to be one with the nature around us. Thank heavens for the magic powers of the smartphone to capture this remarkable experience.